Famous Partnerships: Pirate and Partner. 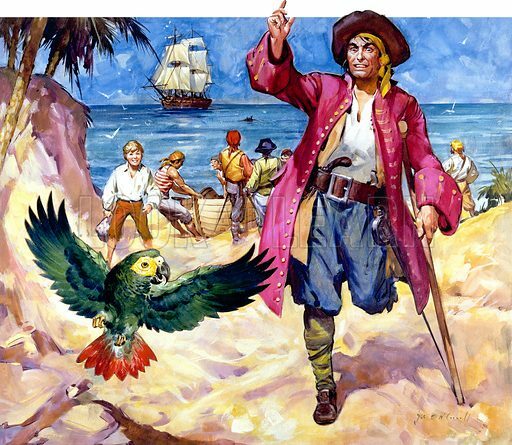 Long John Silver and his Parrot. Original artwork for cover of Look and Learn issue no 333. Scanned from transparency. Available worldwide for immediate download up to 4,289 x 3,730 pixels.